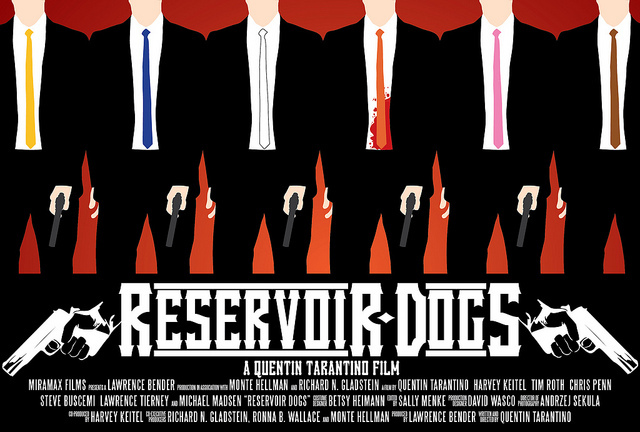 Quentin Tarantino’s first movie Reservoir Dogs was my favourite film back in the day, I had 2 different posters on my wall and watched it way too many times. 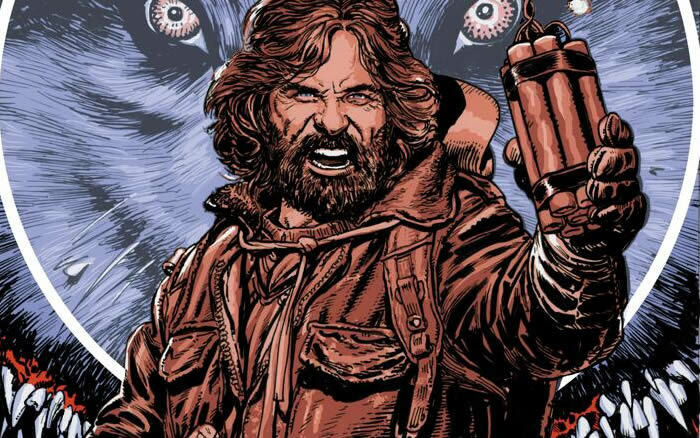 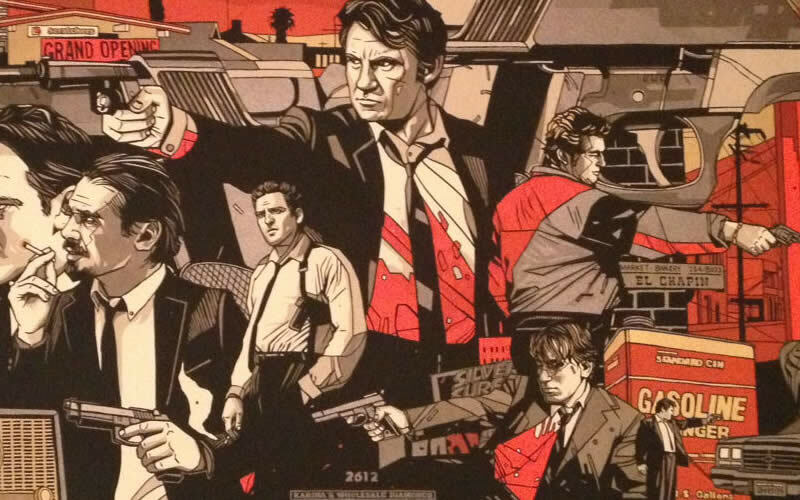 The movie is pretty simple for designers to create concepts from, you have characters with colour based code names, iconic suits, sun glasses and blood. 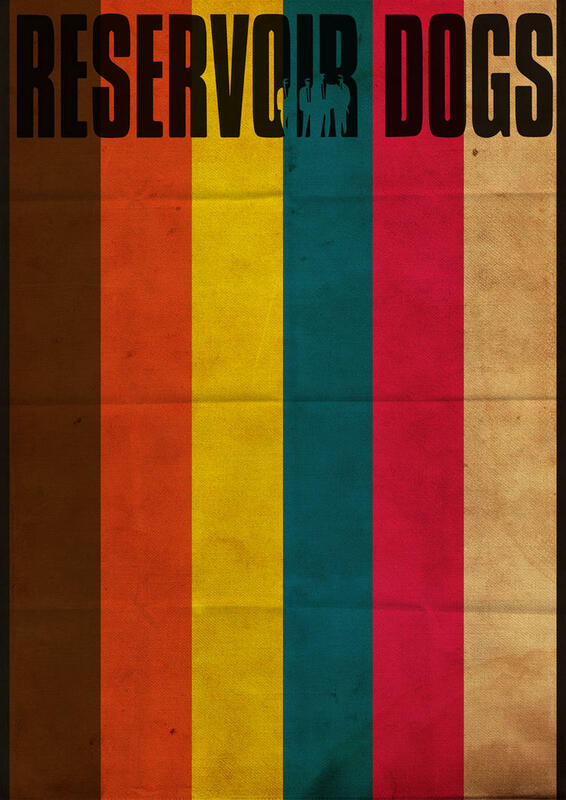 The majority of designs have colour based themes so we featured a few based on that. 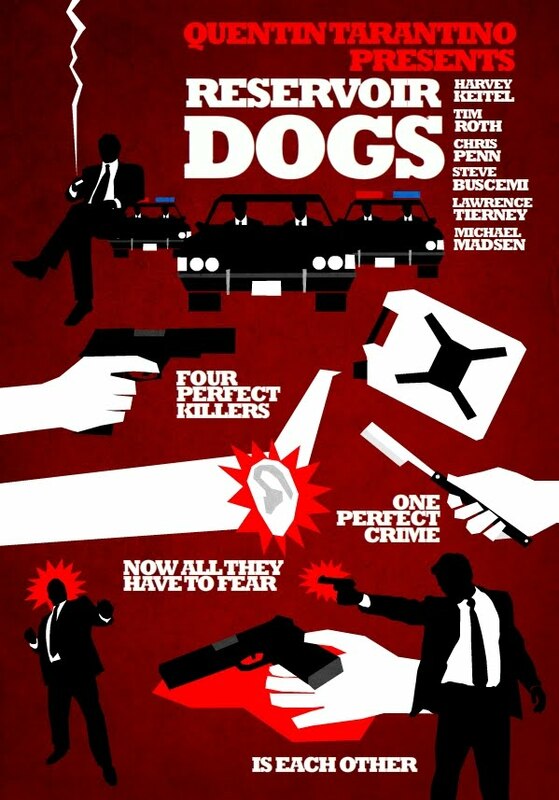 We didn’t include any with dogs. 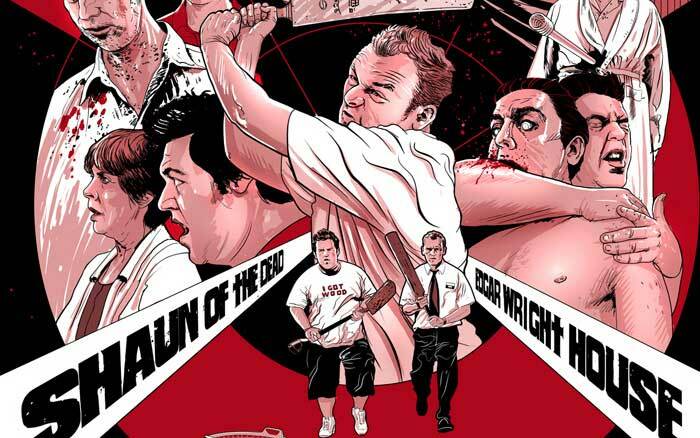 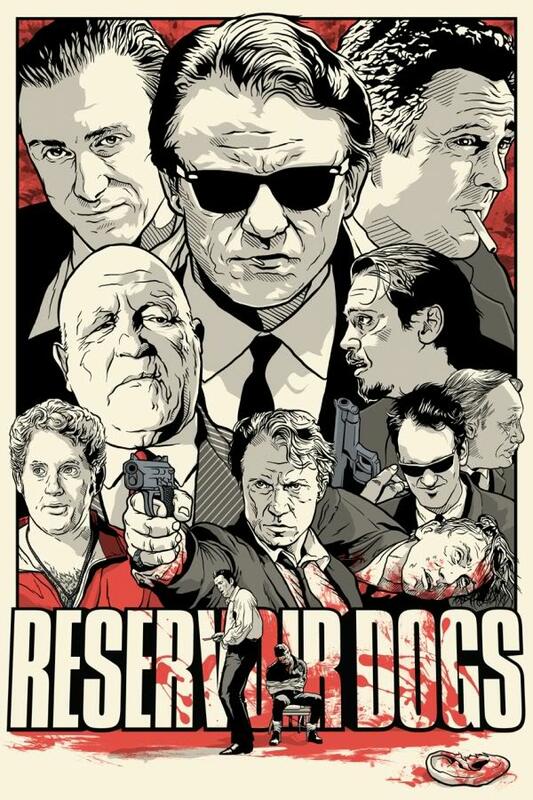 We have collected some awesome alternate Reservoir Dogs poster designs and fan art for your viewing pleasure, please do hesitate to submit your own or recommend any illustrations we may have missed out. 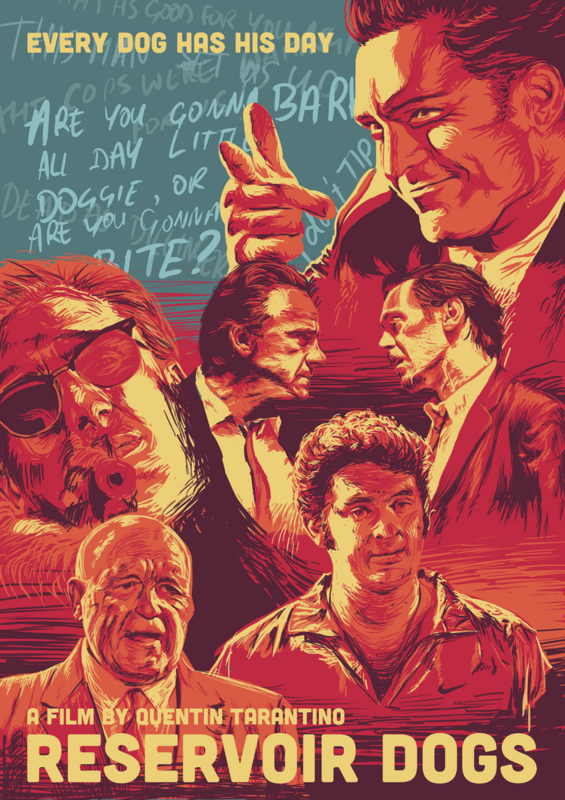 A beautiful piece of line art illustrations for Reservoir Dogs from joshuabudich.com. 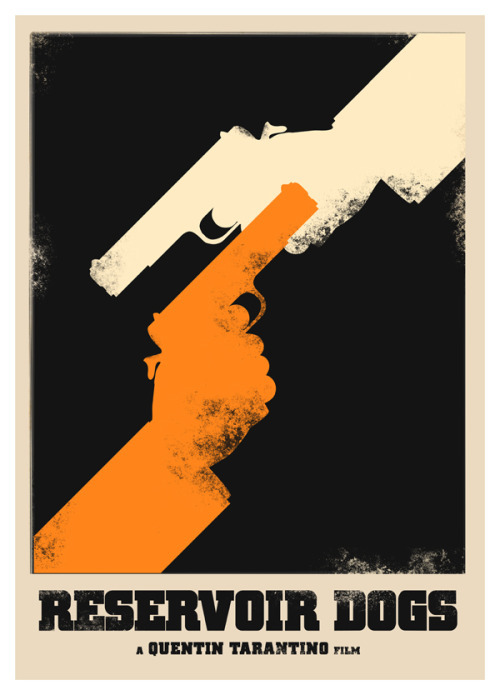 I would definitely have this print on my wall and you can get it here. 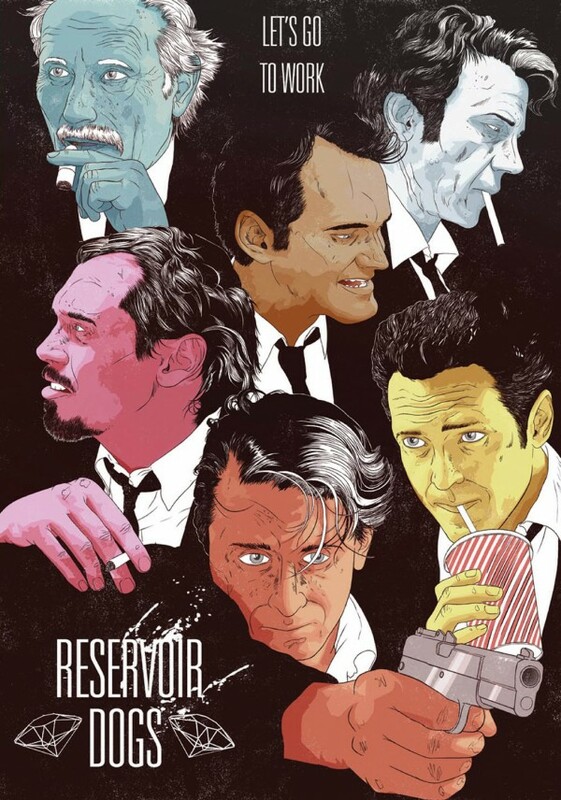 This is an incredibly detailed alternate poster for Reservoir Dogs, I don’t know where people get the time for stuff like this. 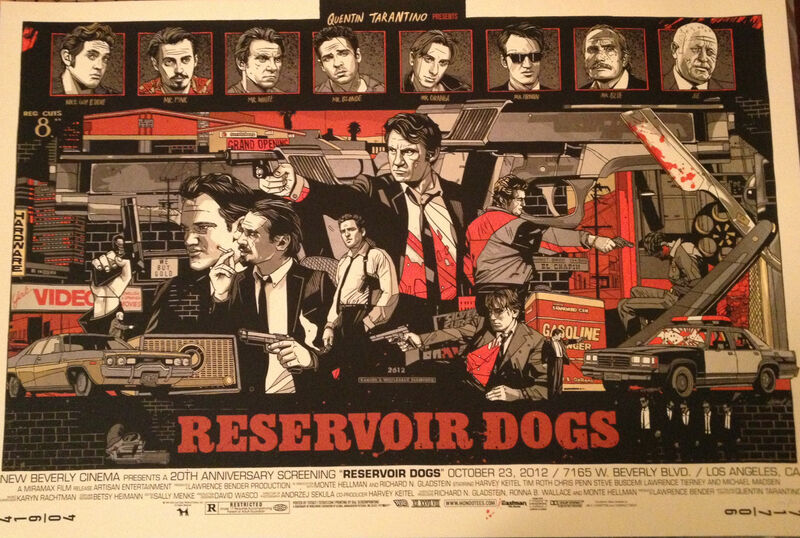 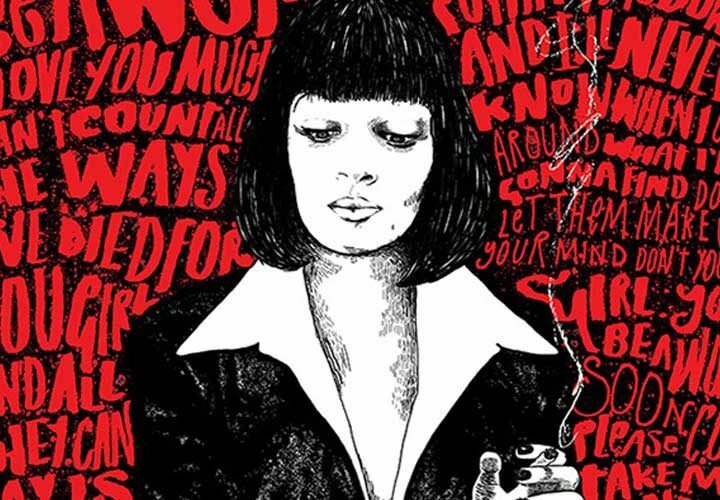 You can check out more work by Tyler Stout on his website. 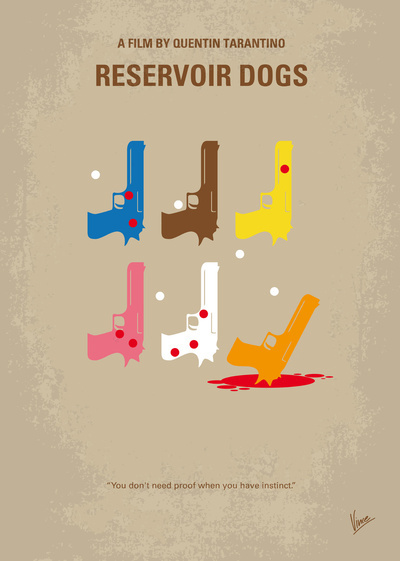 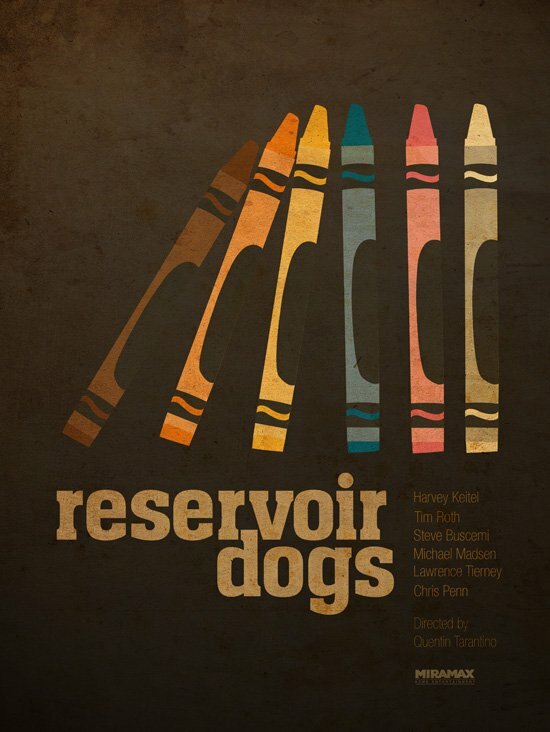 Ultra Minimal Reservoir Dogs poster by designer Grischa Stanjek, Check out more of his work his site. 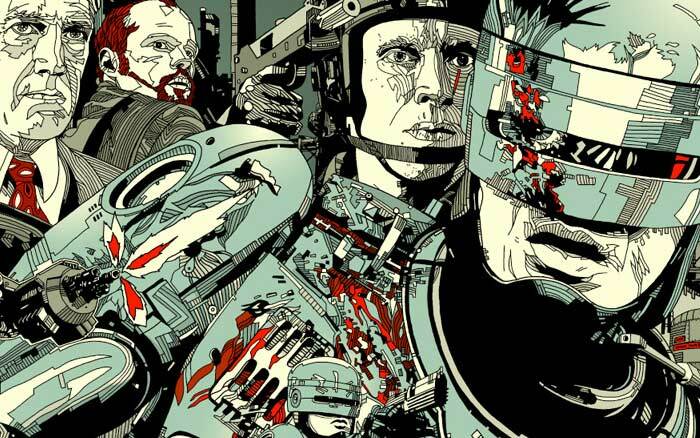 Mark Welser is a comic book artist based Erie, Pennsylvania. 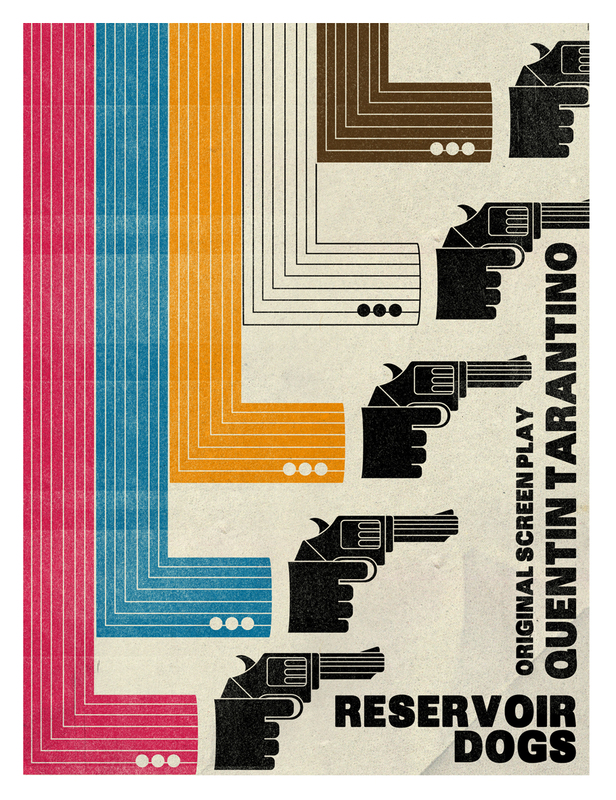 He has designed loads of alternate posters for tons of my favourite films so feel free to check out his Facebook page here.